Until a few hundred years ago, herbalists and homeopaths were undivided professions, both traditions informing one another. Practiced by physicians and healers across Europe and then the Americas, homeopathy plays a central role in traditional western medicine as a natural system of medicine that stimulates the vital force. Homeopathy is unique and complementary to herbal medicine as it addresses deep underlying patterns of disease and susceptibility. In this 2-day workshop participants will gain a comprehensive introduction to homeopathy and then learn important homeopathic remedies specific to women’s health. Homeopathic materia medica will be in-depth and include remedies for both physical and emotional support for ailments such as PMS, irregular menses, PCOS, dysmenorrhea, grief, emotional shock, difficulties through pregnancy, labour and birth, menopause and more. Homeopathy is safe, simple yet sophisticated and addresses physical as well as emotional and spiritual struggles as women move through different stages of life. This course will demystify homeopathy and explain how homeopathy can support the whole person – mind, body and spirit. Dosage and clinical application will be discussed. Students will have a grounded sense of what homeopathy is, how it may help clients, and what remedies practitioners must have in their dispensary for treatment. Seraphina is a 3rd generation herbalist with European roots who formally trained at Emerson College of Herbology, University of Toronto, Susun Weed’s Wise Woman Center in NY, and The Vancouver Homeopathic Academy. After formal education she embarked on a year-long apprenticeship with a shaman in New Mexico which shifted the course of her life. 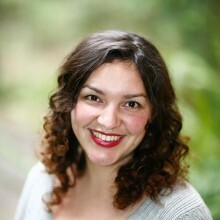 Seraphina currently practices homeopathy and herbal medicine from her clinic The Green Raven Centre on Salt Spring Island, where she has resided for 12 years. She writes for Alive Magazine and her own award winning blog www.seraphinacapranos.com. An inspiring teacher and intuitive healer she brings the experience of her own healing journey into the classroom along with her years of clinical experience. Seraphina is an avid supporter of Waldorf Education, biodynamics, and the nourishing traditions of whole foods. As an educator she is passionate about offering empowering, heart- centred classes that are rooted in spirit. If you would like to contact her to inquire further about this workshop, she would be happy to hear from you info@seraphinacapranos.com.